Israeli professor from Weizmann Institute leading efforts to boycott an academic conference held in Ariel University in Samaria. An Israeli professor from the Weizmann Institute is leading the efforts to boycott an academic conference held in Ariel University, located in Israel's Samaria region beyond the Green Line. In an open letter published last week in The Guardian, Professor Ofer Aharony of the Weizmann Institute along with 14 other academics from various universities called on academics "not to take part in any attempts to use science to normalize the occupation of the Palestinian territories." The conference on cosmology and particle physics is the first of its kind in Israel, and is scheduled to take place from September 3-6. According to Israel Hayom, Aharony also sent personal emails to the conference's speakers, urging them not to attend. The promotion of boycotts on Israel by Israeli professors has long been a controversial subject in Israel. 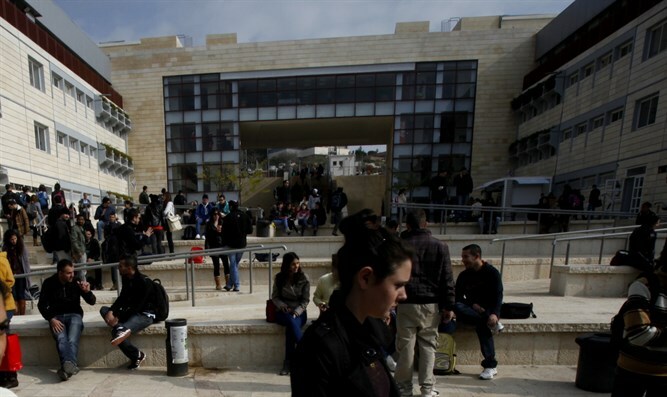 In March 2018, the Council for Higher Education instructed academic institutions to implement a new academic code of ethics in the beginning of 2019, which includes a ban on professors from promoting an academic boycott of Israel. Nonetheless, the Weizmann Institute defended Aharony: "Professor Aharony clearly noted that he is addressing the conference participants as a private citizen. As such, he is entitled to express his opinions and his worldviews." Im Tirtzu CEO Matan Peleg, whose organization was the driving force behind the code of ethics, called it a "disgrace" that an Israeli professor was leading the call to boycott the conference. "It is inconceivable that such a thing can pass unnoticed," said Peleg. "We expect Education Minister Naftali Bennett to summon the president of the Weizmann Institute and examine why such an outrageous act was met with silence and tacit agreement from the Institute." "If the academic code of ethics was created for any purpose, it is to combat academic boycotts of Israel," added Peleg.